As part of the Usage-Based Insurance Study, PTOLEMUS has interviewed and analysed the main stakeholders across the global market to produce the Usage-Based Insurance 2016 Supplier Rankings. 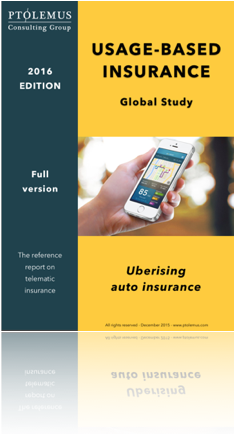 To complete the rankings, PTOLEMUS has closely examined 34 technology providers (sometimes offering more than one product), 22 telematics insurance service providers, and 11 smartphone-based usage-based insurance programmes across 4 geographies: Global, North America, Europe and Asia. The rankings complement the UBI Suppliers and Market Handbook, which accompanies the UBI study and assesses 38 UBI service providers, 14 telematics technology providers and 16 mobile UBI service providers. 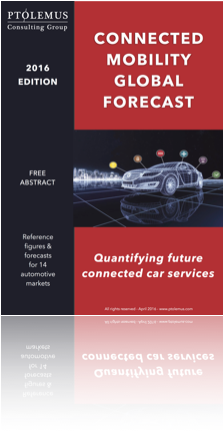 This industry leading guide shines a spotlight on the main stakeholders in the telematics insurance sector and provides a series of exhaustive profiles. The company’s global footprint and sales volume. The full list of criteria is available in the presentation of the results. PTOLEMUS’ ranking is broken down according to geographic area and telematics devices used. A total of 24 companies have received top rankings from the 15 categories such as best UBI global technology provider or best Asian UBI service provider. The full list of companies ranked is: AnyData, Agero, Allstate, Amodo, Atrack, Baseline telematics, CalAmp, Censio, Chainway, CMT, Danlaw, Detector, CCC (Drive Factor), Driveway, FMG Support, Geotab, Hubio, iMetrix, IMS, Infrasure, Launch, MetaSystem, Mobile Devices, Modus, MyDrive, Novatel (Digicore), Octo Telematics, Orion, Pointer, Quartix, Queclink, RAC, Redtail / Plextek, Scope Technologies, Tantalum, Telic, The Floow, TomTom, Trak Global, Trakm8, Verizon Telematics, Viasat, Vodafone Automotive (Cobra), LexisNexis (Wunelli) and Xirgo Technologies. Some of the results are described in the Press Release, but you can download the full table through the form below and discover who ranked 1st, 2nd and 3rd in each of the categories. Simply fill in the form below and an email will be sent to you automatically, containing a link to download the PDF.